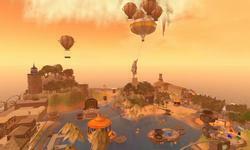 Business in a virtual world? See examples of enterprise and business in Second Life, a 3D space for virtual meetings, events, training and simulations. This location is home to LA Bella Boutique. Two other organizations, Bella Top Couture Productions and Love Bella Photography, are nearby for those who are interested. Save the beautiful memories and leave a trace of your unforgettable moments. The premier outdoor water park of Second Life designed by the Flip SL. The Outdoor Waterpark consists of 6 interactive waterslides, interactive beach area, TD friendly water park area, as well as a fully interactive restaurant area. A must visit! Visit eGov Island, where the NIC handles official government portals, online services, and secure payment processing solutions for more than 3,000 federal, state, and local agencies. Explore the virtual presence of creative media agency Orange22, which has developed several unique and fun 3D spaces and tools to stimulate ideas and creativity for individual or group concepts. ArchAngel Designs has been a business to business solution for copyable tip jars, club chairs and many other club supplies since 2008. All of their products are professionally crafted with enormous attention to detail and functionality. For top notch customer service, products and support, be sure to visit ArchAngel. Since 2008, Artizan Creative Solutions has been helping Second Life business owners establish, run and promote their businesses. With creative, innovative scripted solutions for business organisation and development needs, business advice, free starter scripts and marketing information, all business owners should stop by Artizan. 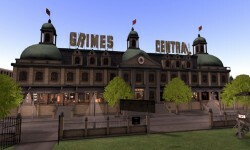 Grimes Central has been selling musical instruments, club equipment, DJ supplies and media since 2007. 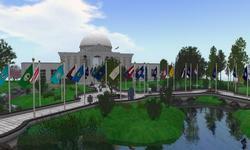 It is now one of the premier club and music stores in Second Life. They offer a wide range of high quality products to suit all price ranges (including freebies) and have developed an outstanding reputation for their customer service and after sales support. So go on down and check them out.